A state of emergency has been declared in California, where the Woolsey fire is rapidly spreading. Beginning on Thursday night, the wildfire has since rapidly spread, fueled by strong winds and dry conditions. Tens of thousands of people have had to evacuate their homes as the fire has left immense chaos in its wake, destroying practically everything in its way. Among the many structures to be decimated by the wildfire so far, some of the buildings shown in the hit HBO series Westworld have also been burned to the ground. These would be the structures seen in the background during some of the show's scenes set on Main Street. The Western town set on Westworld was in reality a place called Paramount Ranch in Agoura Hills. The Santa Monica Mountains National Recreation twitter feed has announced that this area has been badly affected by the Woolsey fire, burning down the standing structures. They have also released some video footage of what's left, revealing the crumpled and smoldering remains of the structures. It's truly unfortunate to see that such a familiar location seen in many films and TV shows has also been taken by this devastating fire. What's worse is that this is just one of many areas to be destroyed by the still-spreading flames. 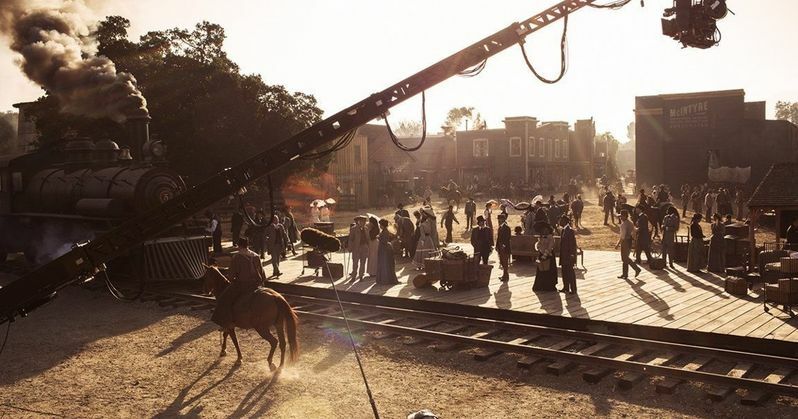 This is one of many locations to be used for Westworld, as the series also shoots in Santa Clarita and in Utah. Currently, the show is not in production, meaning no cast or crew were present on the set. HBO has not been present to see the full extent of the damage, but it's looking like the set is completely gone. When not being used by film and TV productions, the area is open to the public, with tourists able to visit for themselves. This may or may not continue to be the case depending on the extent of the fire damage. The ranch has been featured in film productions going as far back as 1927. It can be seen in feature films like Caught in the Draft and The Lake House, and other TV shows such as Weeds and The Mentalist. It was prominently featured in Dr. Quinn Medicine Woman, which shot at the site for five years beginning in 1992. Going back a little further, it was used as a raceway in the '50s, and can be seen as such in The Devil's Hairpin. Most people today will certainly recognize the location best from its appearance in Westworld, however, given the immense popularity of the HBO series. Tragically, more and more people are being ordered to evacuate their homes as the flames continue to move. Malibu, Calabasas, and Agoura are all under mandatory evacuation orders. With so much tragedy to hit California over just the past couple days, hopefully the wildfires will be under control very soon. You can take a look at the destruction of Paramount Ranch in the tweeted video below from the CBS Evening New Twitter.